Eastern Guruma have established a joint venture with McNally Group, to undertake construction works for the upgrade of Jerriwah Village facilities at Rio Tinto’s Silvergrass Mine. This partnership will create traineeships for Aboriginal people within the construction industry, over the course of design and construction works, of on-site accommodation units and other adjoining camp facilities. 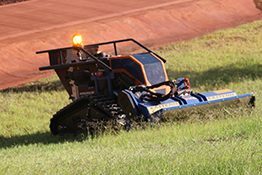 Pilbara Aboriginal Investments (PAI) is contracted by Rio Tinto to provide cleaning and grounds maintenance services for four large mine sites, namely Tom Price, Marandoo, Western Turner and Paraburdoo. Providing employment for 46 employees, the focus of this project is to increase Aboriginal employment and professional development over the five year contract period. Further opportunities for local work will be provided through the Paraburdoo store. 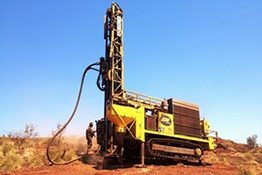 Eastern Guruma alongside JSW, were awarded a contract for RC Grade Control and Hydrogeological Borefield Drilling Services. This prestigious project for Fortescue Metals Group operates across Solomon, Christmas Creek and Cloudbreak Mines. 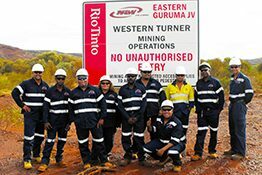 Works completed through this joint venture has successfully trained local Aboriginal trainees to become qualified drillers. Eastern Guruma is to provide mining services to the Western Turner Syncline Stage 2 Project. The large scope of works involves mining services, ore haulage, haul road design and construction, and non-process infrastructure works. 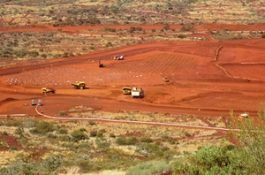 Eastern Guruma is to complete landscaping services for Kangi Camp at Fortescue Metal Group’s Soloman Mine. ­Eastern Guruma, Visionstream Australia and Fortesuce Metals Group, partnered to train, mentor, educate and develop a husband and wife team (Ken and Jocelyn Hughes) to become qualified telecommunications technicians. Ken and Jocelyn were awarded their Certificate III in Telecommunications in 2014, and have been accredited as fibre optic technicians. 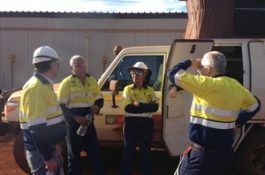 Ken and Jocelyn were contracted by Fortescue Metals Group to provide telecommunications maintenance services across Fortescue Metal Group’s networks, based at the Solomon Mine. Eastern Guruma has been contracted to provide mining services to Brierty for ongoing mining works at Western Turner Syncline 2. 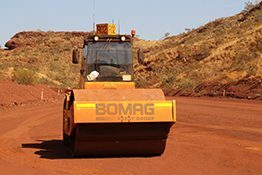 As an extension of the Eastern Guruma and Wirlu-Murra Yindjibarndi Contracting Joint Venture Road Maintenance contract, this Project increases the scope of operations at the Solomon mine to include drill pad preparation and associated earthworks. Expansion works will include drill pad construction, the establishment and maintenance of access roads, drills sampling and rehabilitation works. 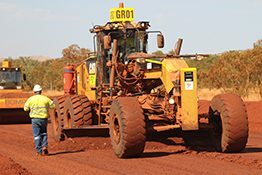 Eastern Guruma and Wirlu-Murra Yindjibarndi Contracting entered into a joint venture in 2013 to provide road maintenance services to the Solomon Hub. 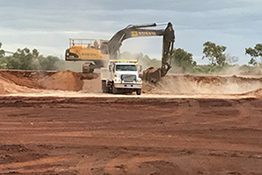 Located North of Tom Price, works provided include haul and service road construction/maintenance, park up areas, fuel farm preparation and firebreaks. Eastern Guruma was awarded design and construct landscaping for the Solomon Mine Kangi Camp in 2013. Initial works required earthworks and landscaping for camp recreation areas and surrounds. 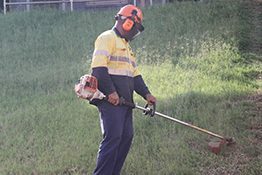 Our landscaping team is now responsible for providing ongoing maintenance of camp grounds and surrounding areas at Solomon Mine upon request. 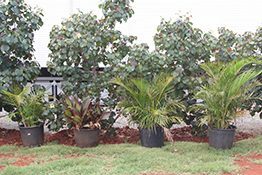 Ground maintenance services include lawns, trees and gardens; irrigation, drainage and waste management; and firebreaks around communication towers.